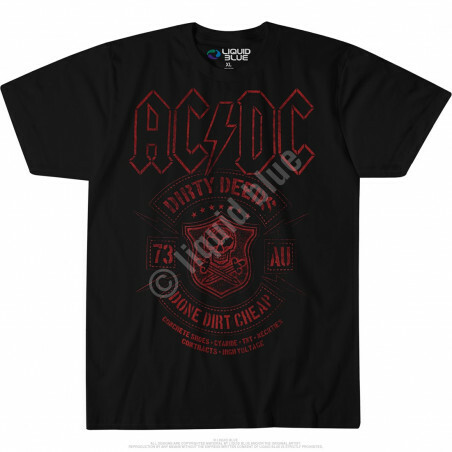 Music T-Shirts & Clothing Liquid Blue There are 205 products. When AC-DC erupts, you'll know it. They are a volcano, full of rage and love, passion and an unparalleled desire to blow your mind. 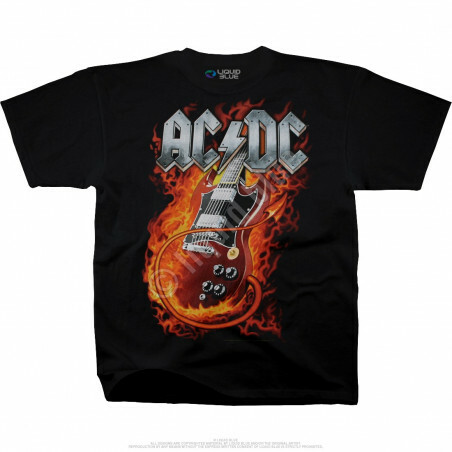 The AC-DC Rock Eruption Black T-Shirt Liquid Blue is all that emotion wound into one piece of apparel. That's a lot of emotion. Ever been thunderstruck? Being struck by lightening is one thing, but being by struck by thunder is a whole different animal. If you're seeking this feeling, the AC-DC Thunderstruck Black T-Shirt Liquid Blue might be the closest you'll come. Because after all, who knows the true effects of being struck by thunder, care to find out? 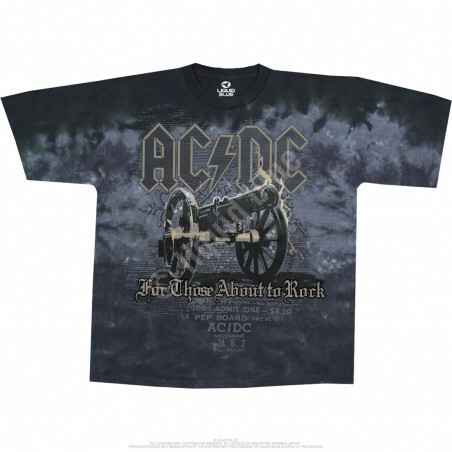 The AC-DC Cannon V-Dye Tie-Dye T-Shirt Liquid Blue is not a one-of-a-kind, we admit. But clothingmonster.com is hard pressed to find something as popular as this shirt. It's a piece of apparel that spans generations, literally this has been sold to kids as young as 12 and grandparents in their 70s. 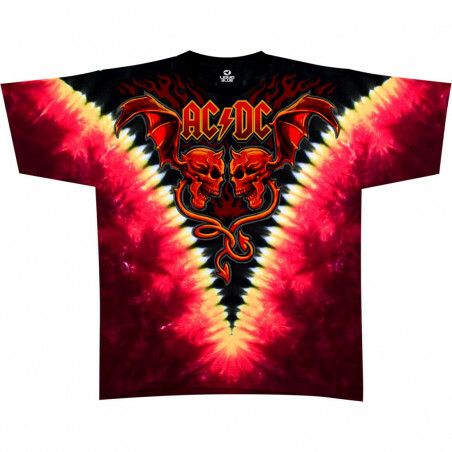 AC-DC Evil Wings Tie-Dye T-Shirt Liquid Blue is evil in name only. It's actually a very pleasant clothingmonster.com tee. Take a gander, this is a closet must have. The AC-DC Night Prowler Grey Athletic T-Shirt Liquid Blue is a prowler's dream, a clothingmonster.com favorite and one that sells out rather quickly. Wonder why, just take a gander at the design, it's a real piece of work! Man the cannons, the boys from down under are back and ready to attack. 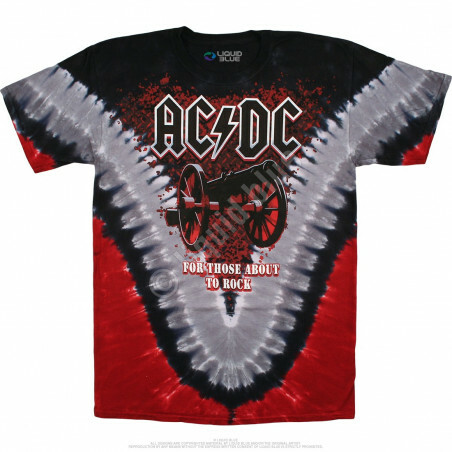 The AC-DC Cannon Tie-Dye T-Shirt Liquid Blue is an AC-DC staple, a piece of apparel that only a real fan should own and wear. We think you're that person, in fact we know it. AC-DC has big bells, really large bells. And those bells ring loud and hard, ever heard them? Of course you have, and clothingmonster.com is your rock the bells stop. 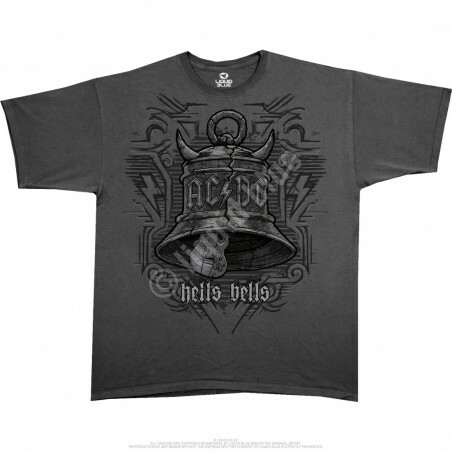 The AC-DC Big Bells Grey Athletic T-Shirt Liquid Blue embodies this spirit, can you feel it? If there was ever a band that shook, that band was AC-DC. They shook for minutes, hours, and entire evenings. 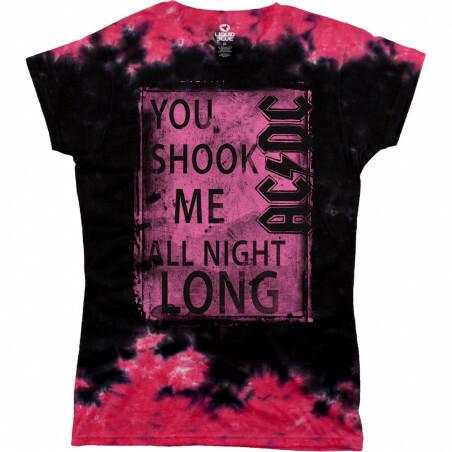 The AC-DC Shook Me Tie-Dye Juniors Long Length T-Shirt Liquid Blue is a junior piece of apparel, something to key your kids into the rock and roll that is AC-DC. Angus is a rock genius. His native land down-under loves him, and America loves him too. 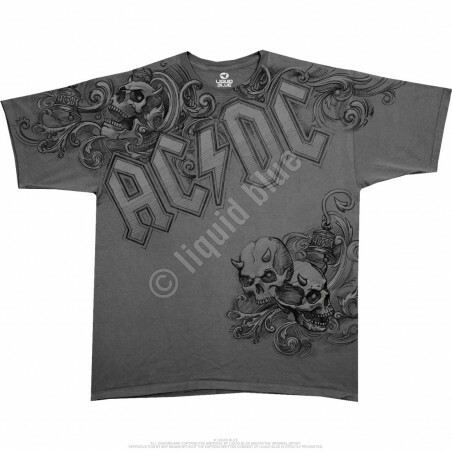 The AC-DC Classic Angus Tie-Dye Juniors Long Length T-Shirt Liquid Blue. Take a stand, are you ready to rock! Of course you are, and you know what, so is clothingmonster.com. 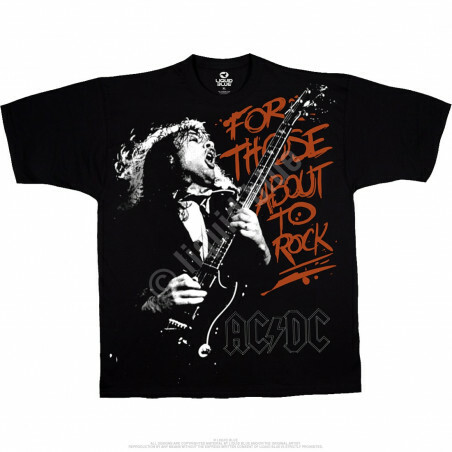 The AC-DC For Those About To Rock Black T-Shirt Liquid Blue is truly for those about to rock. If you're on the brink of rocking, or even highly considering it the day of, step up, let's rock! Some bands are known for sunshine, others for rain, some take on lightening, while AC-DC embodies thunder - thunder struck! 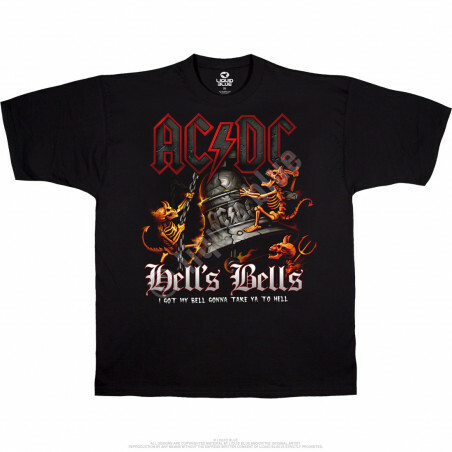 The AC-DC Rolling Thunder Black T-Shirt Liquid Blue is this Aussie machine at work. Taking the world by storm, a thunder storm! Never wear the band’s T-shirt to the concert, wear another! 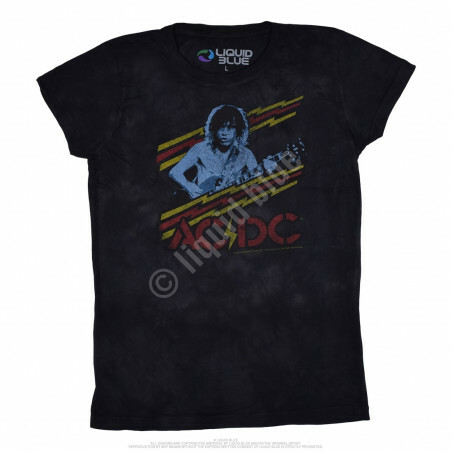 Liquid Blue’s licensed Rock and Roll T-Shirts, Tees, Tie-Dyes, Hoodies will gear you up, and set you right. Clothingmonster.com is the premier outlet for all your favorite bands - The Grateful Dead, AC/DC, Pink Floyd, The Beatles, The Rolling Stones, The Who, Jimi Hendrix, The Allman Brothers, Eric Clapton, Aerosmith, our list is endless and with an array of men’s clothing, women’s clothing, we’ve literally got apparel for days. These are the bands you grew up with, the memories are endless so celebrate them in style. You won’t find quality tees with these designs elsewhere. Something you also won’t find is free shipping on all orders of $50 and return and exchange of up to 125 days. 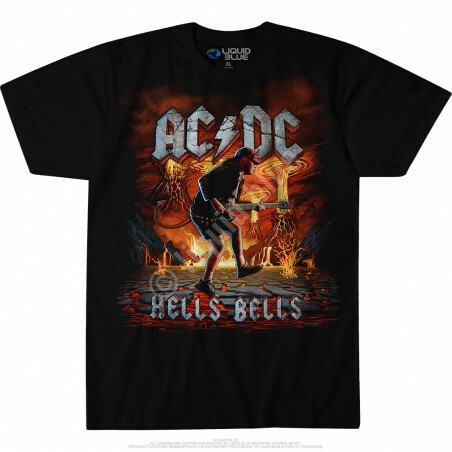 Let clothingmonster.com be your one-stop shop and when you hit that next AC/DC revival concert, remember, wear your Jimi Hendrix tee!